Travelmarvel is expecting another solid year for its India River Cruising following positive guest feedback which identified the inclusion of all the must-see sights, the peace of mind of being fully escorted, sailing on a brand new river ship and offering the most competitive pricing as the four pillars driving the success of its program in this destination. The most popular itinerary is the 14-day Authentic India lower Ganges river cruise aboard the custom-built 22-suite RV Rajmahal, a new vessel that first set sail in 2014. Sailing from Patna all the way to Kolkata guests will enjoy an authentic glimpse of the real India, stopping at several villages along the way. Priced from $5,495 per person, twin share, highlights include the chance to explore the Nawab’s Hazarduari Palace in Murshidabad; a cycle rickshaw ride to see some of Bengal’s most unique temples; and a special lunch at award winning restaurant Oh! Calcutta. 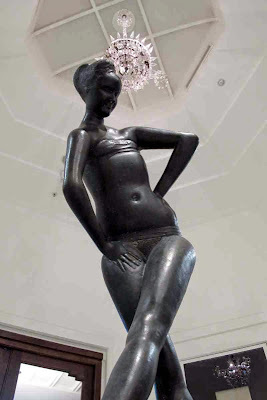 Guests also stay at Kolkata’s ultimate residence, The Oberoi Grand. This is extended with a six night land tour of the ‘golden triangle’ cities of Delhi, Agra and Jaipur to create the 20-day Colours of India. In Sri Lanka guests can choose a 12-day Spendours of Sri Lanka itinerary which takes in Negombo, Sigiriya, Kandy, Nuwara Eliya, Yala National Park, Ahungalla and Colombo or combine it with the India river cruise and land itinerary to create the 31-day Sri Lanka & India Revealed. Four EarlyBird Specials are available, including: ‘Fly Free, including taxes’ on holidays of 20 days or longer; ‘Companion Fly Free, including taxes’ on the 12-day Splendours of Sri Lanka; ‘Companion Fly Free, just pay taxes of $850 per person’ on the 14-day Authentic India river cruise; and a ‘Fly Business Class from $4,495 per person inc taxes’ on the 20-day Colours of India. 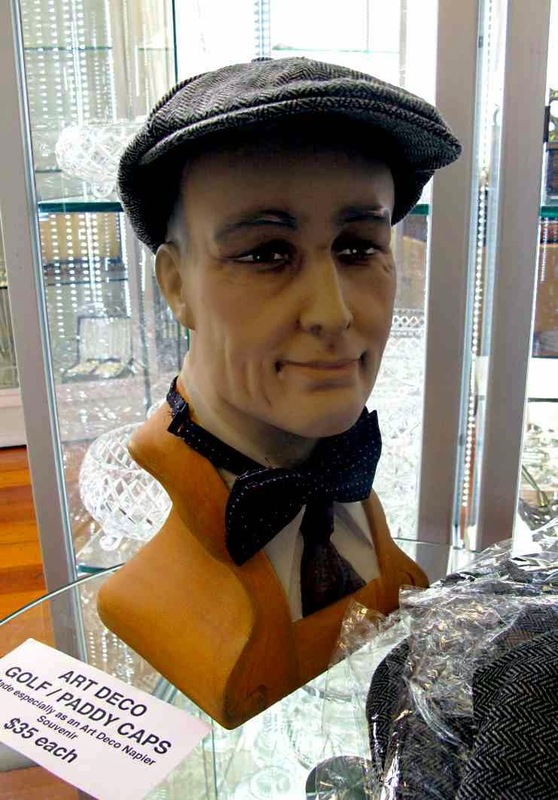 Offers are subject to availability and terms and conditions apply. 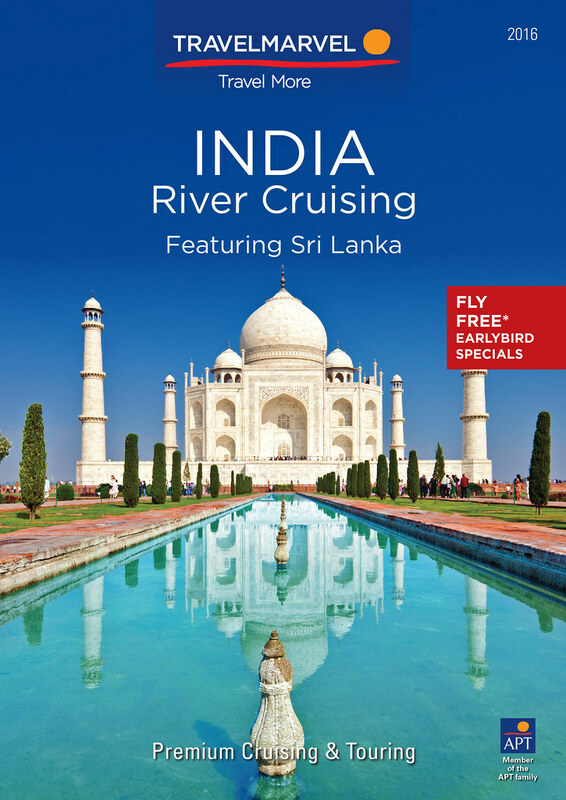 Travelmarvel’s India River Cruising 2016 brochure is available now. For further information call 1300 196 420, visit travelmarvel.com.au or see your local business development manager. SEADREAM Yacht Club's boutique SeaDream I will make a rare visit this August to two of Italy's most enticingly-picturesque and sought after ports for wining, dining, shopping and beach-going – but which see few cruise ships because they lack large-scale port facilities. 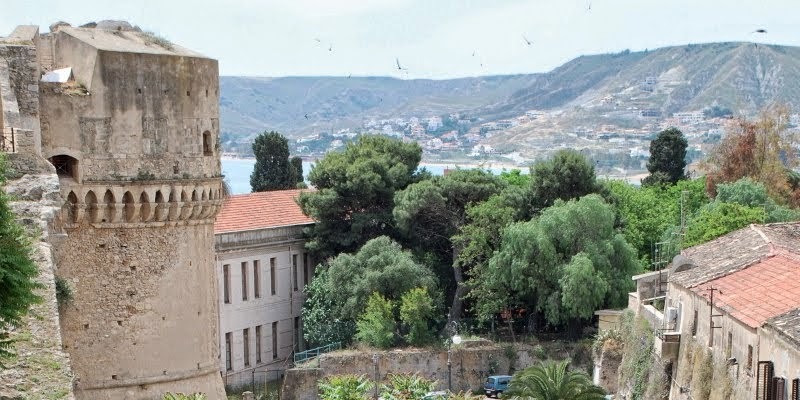 Crotone in Calabria on the Ionian Sea is renowned for its classic Italian-lifestyle of small and cosy restaurants and bars, handicraft markets, centuries-old archaeological sites and sunny beaches. 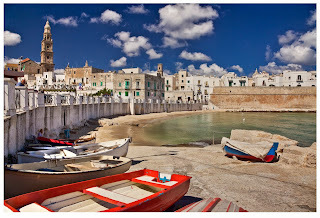 And Monopoli in nearby Puglia, a region of growing interest to Italophiles, is located on the Adriatic and welcomes visitors to cobble-stoned alleyways, grottoes, seafood restaurants and bars, beaches… and has a cannon-topped castle built in the 16th century and now a cultural centre, and a hospital dating back to 1305. SeaDream I will sail 7-days from Civitavecchia, the port for Rome, this August 8th for Croatia's medieval walled-city of Dubrovnik, visiting along the way Sorrento with the opportunity of a side-trip to Pompeii, Positano, Taormina to see Sicily's Mt Etna, and spectacular Kotor in Montenegro. 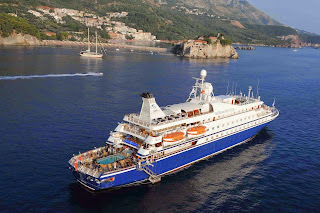 Prices start from US$5,426pp twin-share including premium bar drinks, wines, a golf simulator with 30-international courses, state-of-the-art fitness centre, mountain bikes for shore use, power and sail water-sports where permitted, crew gratuities and port charges and taxes. Full details from travel agents or www.seadream.com; SeaDream I carries a maximum of just 112 guests served by 95 crew. PONANT's chic, French "Yacht", 'L'Austral' is on her maiden voyage to Australia and New Zealand, you will have the chance to WIN a case of Veuve Clicquot! Simply take a photo of L'Austral when she is in any of the ports on her visit, share with your friends to get the most LIKES and you will WIN! Avalon Panorama cruising the Rhine. 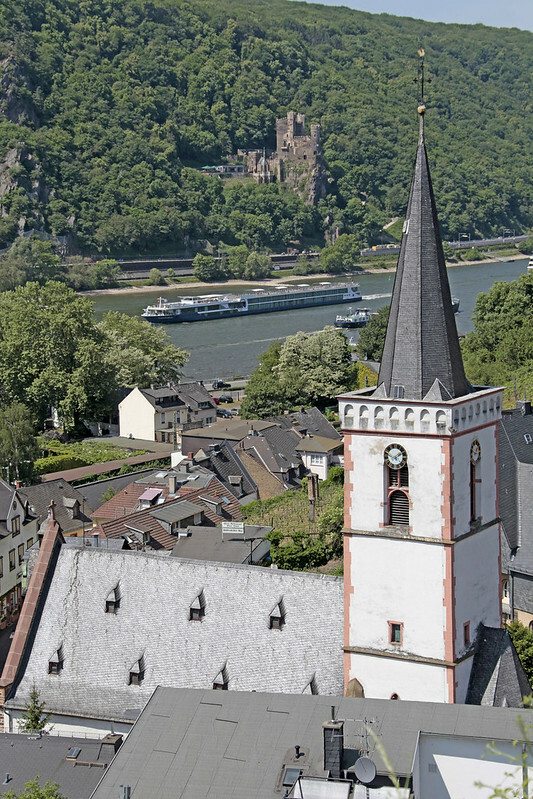 Avalon Waterways has released a preview of its 2016 season of river cruises, offering dozens of its most popular itineraries with a 10 per cent early booking discount. Now on sale, the 2016 preview includes 30 different itineraries on the great waterways of Europe including the Seine, Rhône, Rhine and Danube, as well as in Asia on the Mekong and Irrawaddy. All 2016 preview cruises are available with a 10 per cent early booking discount if purchased between now and the release of Avalon’s main 2016 brochure in coming months. A Taste of the Danube – eight days between Budapest and Vienna from $2045* per person twin share (including discount). Paris to Normandy’s Landing Beaches – eight days between Paris and Normandy from $2837 per person twin share. Romantic Rhine – eight days between Amsterdam and Basel from $2582* per person twin share. Magnificent Europe – 15 days between Budapest and Amsterdam from $5056* per person twin share. Avalon Waterways operates the most modern fleet of river cruise ships in Europe, with an average age of around three years. Its revolutionary Suite Ships have been designed with Australian travellers in mind and provide 30 per cent more cabin space than the average competitor, with wall-to-wall panoramic windows that slide back to turn the entire suite into an open-air balcony. 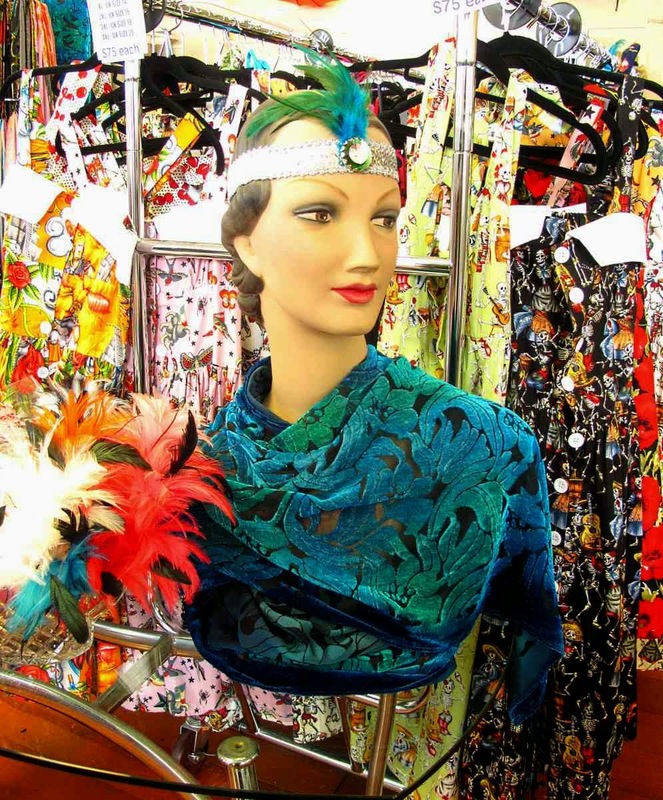 *Prices include 10% discount, subject to availability and conditions. Offer available until the release of the Avalon Waterways 2016 main season brochure. 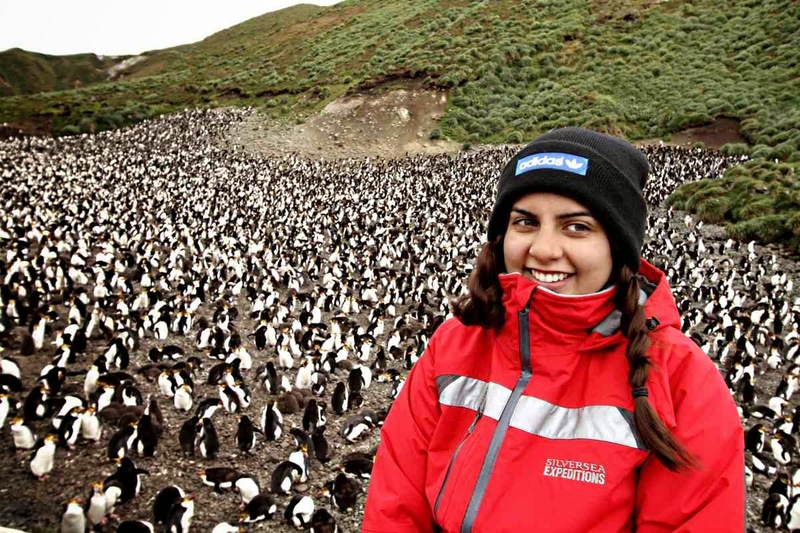 As part of Aurora Expeditions Shackleton Centenary commemorations we are pleased to be supporting the next upcoming Australian Geographic Society lecture: Historic Antarctic Images. We invite you to join our onboard historian, Alasdair McGregor, as he walks you through the imagery of Frank Hurley, the Australian photographer on the ill-fated 1914 voyage of Ernest Shackleton, whose ship, Endurance, became trapped in pack ice in the Weddell Sea. Hurley’s evocative images are testament to an incredible story of adventure, and Alasdair – also Hurley's biographer – will use a collection of the images to bring to life the challenges and hardship Shackleton and his crew confronted during the four-year ordeal. 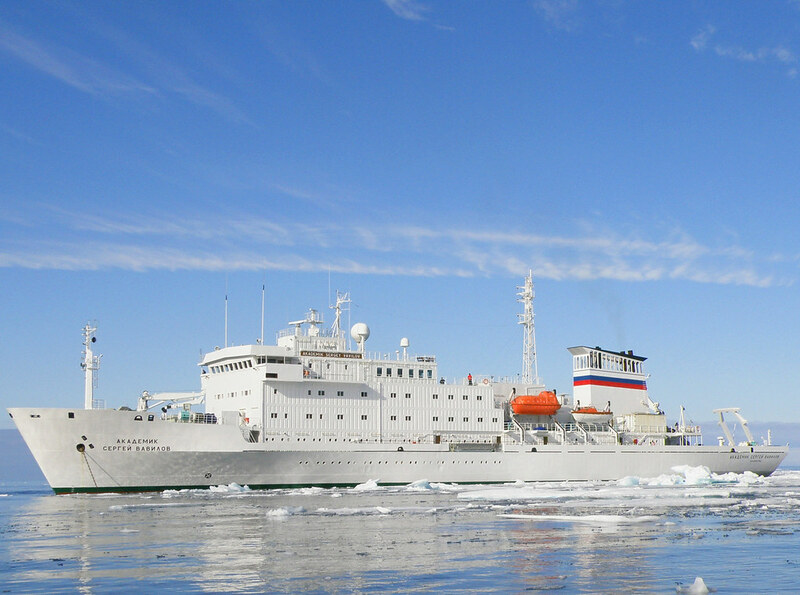 For more information on Aurora Expeditions' Shackleton Centenary expeditions, click here. A superior cabin on the 14 Day Ultimate Quest, 19th May - 2nd June, has just become available. It is an opportunity not to be missed! Please contact the team if you are interested in booking this cabin, it will not last long. 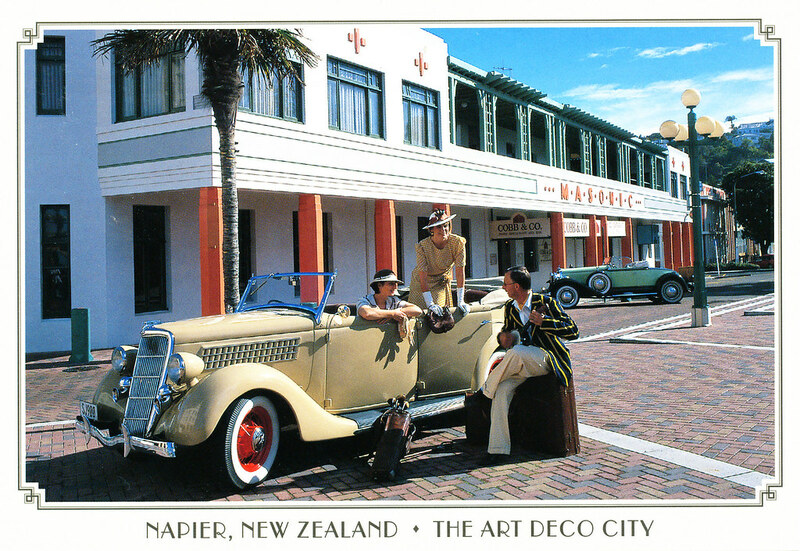 Napier was destroyed in an earthquake and fire in 1931 with great loss of life. 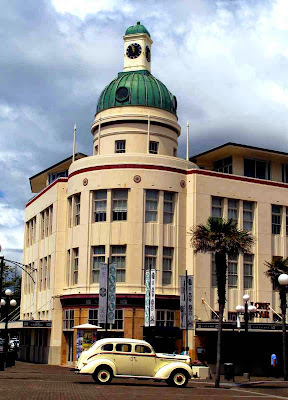 The city was subsequently rebuilt entirely in art deco leaving a wonderful legacy. 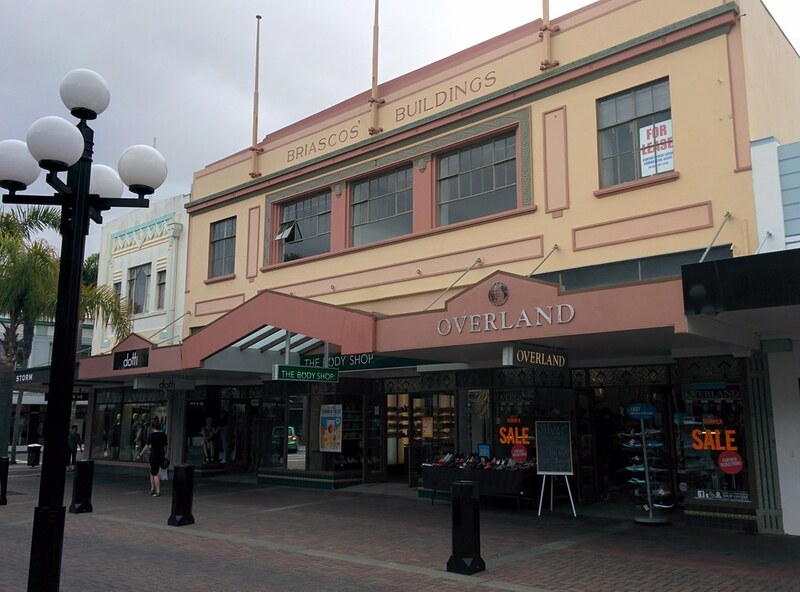 Silver Discoverer stopped for a refuel and shore excursion en route to Wellington, leaving us to explore the fascinating architecture and themed stores. Aurora Expeditions, the experts in expedition cruising, has launched a new Facebook photography competition to find their next ‘Official Arctic Photographer’ to capture the majestic scenery, amazing wildlife and candid experiences of the High Arctic. The lucky winner will be named the ‘Official Arctic Photographer’ and will travel on board Aurora Expeditions’ ‘Across the Arctic Circle’ expedition in June this year. From Scotland to Spitsbergen the winner will enjoy amazing sights like giant icebergs, magnificent fjords, ancient relics and wildlife such as whales, walrus and polar bears, with unlimited opportunities to snap until their heart’s content on this unforgettable 14-day adventure. Entrants are asked to ‘like’ the Aurora Expeditions’ Facebook page (www.facebook.com/auroraex) and submit their best travel photo via the Facebook competition tab to go into the running to win an all-expenses-paid trip to the Arctic, including the expedition cruise, return economy airfares and accommodation, worth over $10,000! Entrants are also asked to submit in 50 words or less why they should be chosen as Aurora Expeditions’ Official Arctic Photographer. 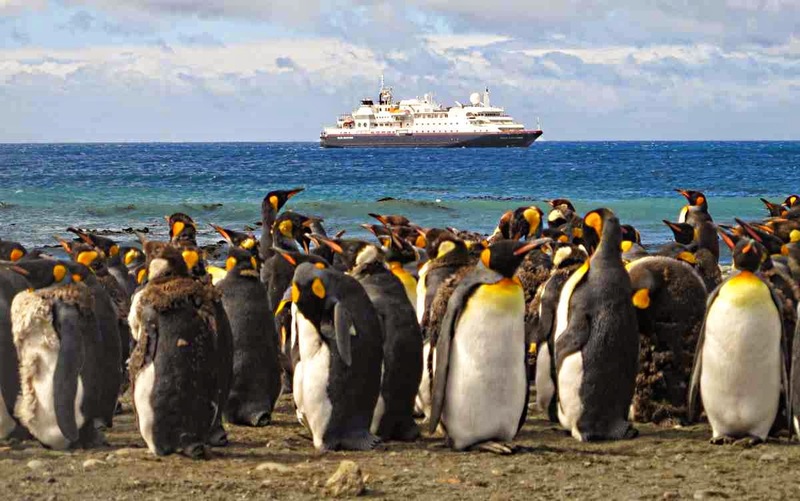 Entries will require 20 votes to make it through to the final judging stage, where Aurora Expeditions’ panel of expert travel and photography judges will choose the final winner. For full competition details visit www.auroraexpeditions.com.au/officialarcticphotographeror Aurora Expeditions’ Facebook page www.facebook.com/auroraex. For more information on Aurora Expeditions’ range of Arctic adventures visitwww.auroraexpeditions.com.au/expeditions/category/arctic-cruises. 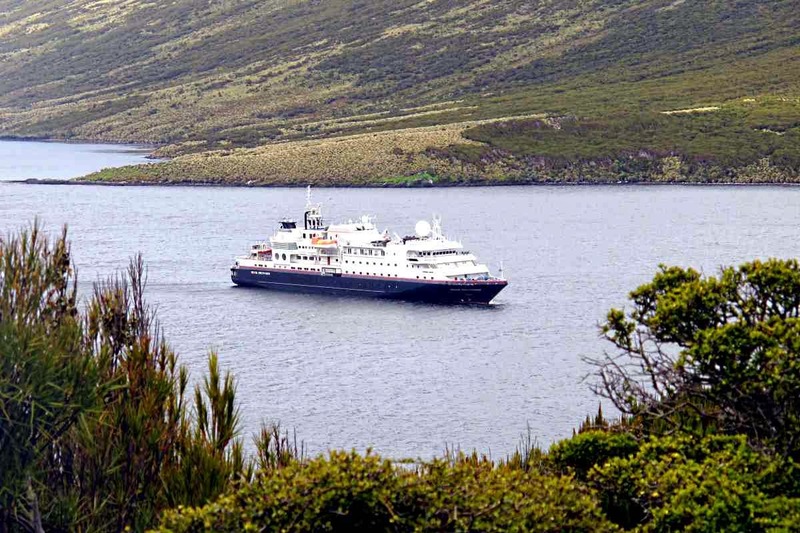 Formed in 1986 by Danish environmentalist couple, Berit Willumsgaard and Soren Rasmussen, Albatros Travel specialises in both African safaris and expedition cruises. Despite Rasmussen's interest in shipping enterprises that involves many of the small expedition vessels currently in operation around the world, they have maintained Albatros Travel as a boutique adventure company marketing predominantly to Northern Hemisphere customers. 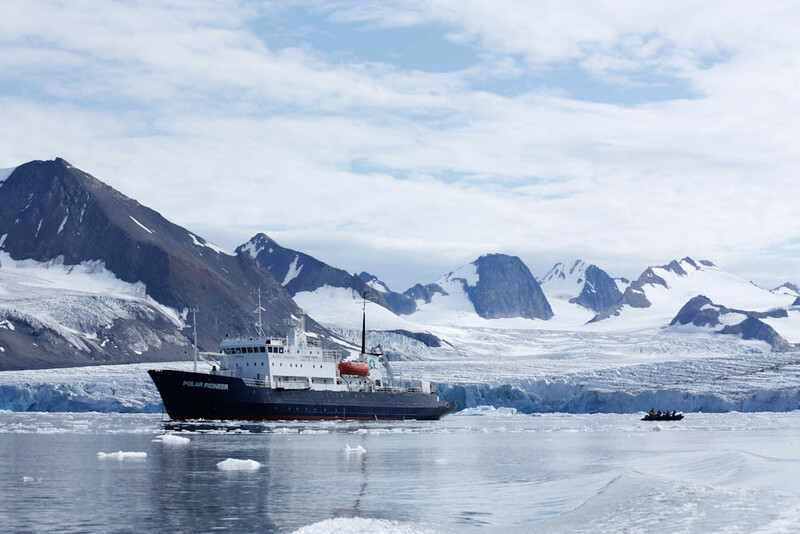 Beginning in 2016, Albatros will take exclusive ownership of the MS Quest, renaming her Sea Endurance and embarking on a series of Arctic expedition itineraries encompassing Svalbard, Greenland and Iceland. 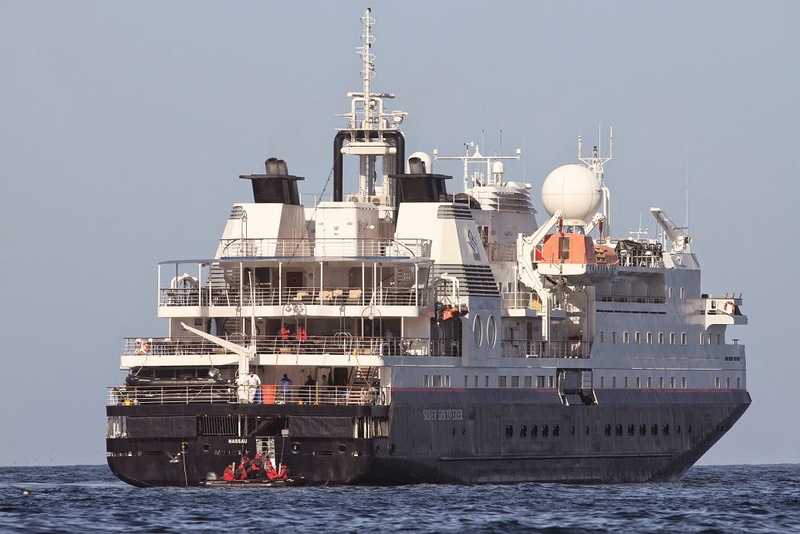 In between, the Sea Endurance will operate exciting itineraries in the Mozambique Channel, including exploration stops at such exotic locations as Madagascar, Comoros Islands and Tanzania. The 50m MS Quest carries just 53 passengers in 26 cabins and, Rassmussen believes, is the perfect vessel for intimate, low impact adventures in these sensitive regions. MAJOR internet cruising operator ecruising.travel is broadening the diversity of its already extensive cruise catalogue for 2016 by exclusively chartering two new ships to operate unique cruise-tour itineraries which have already reached 50 percent capacity. 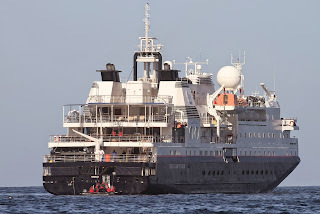 The two luxurious vessels, currently under construction, are APT's the RV Samantha and Ecoventura's MV Origin (pic above). Managing director Brett Dudley said ecruising is constantly searching the world for new types of cruise experiences to add to its already comprehensive choice of exclusive packages. "These great opportunities have already proven popular with past ecruising passengers and members of our POSH Club Loyalty Program, but also have high appeal for first-time ecruising travellers who are looking for a different cruise experience." Ecruising will use the newly built ships in its trade mark format of high-end fly/tour/cruise packages which the company is renowned for. 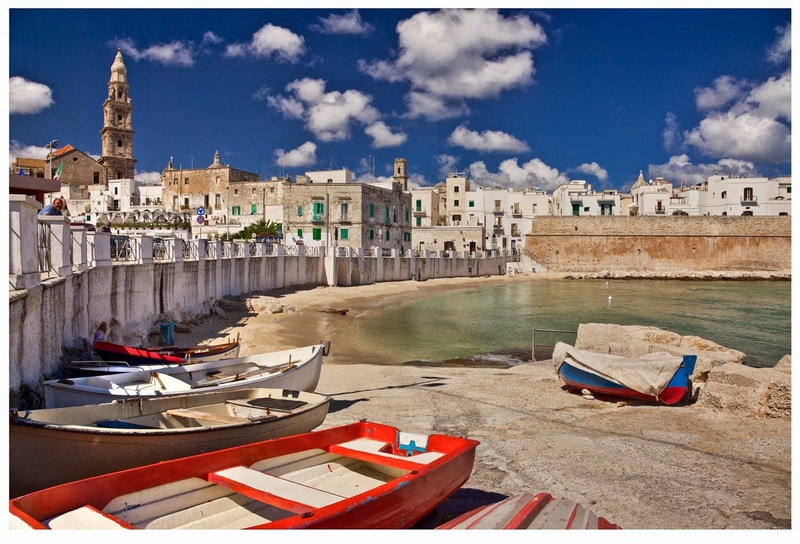 These two new itineraries will include return economy airfares from Australia, pre and post five star accommodation, cruise accommodation with all meals and sightseeing, land touring and transportation. 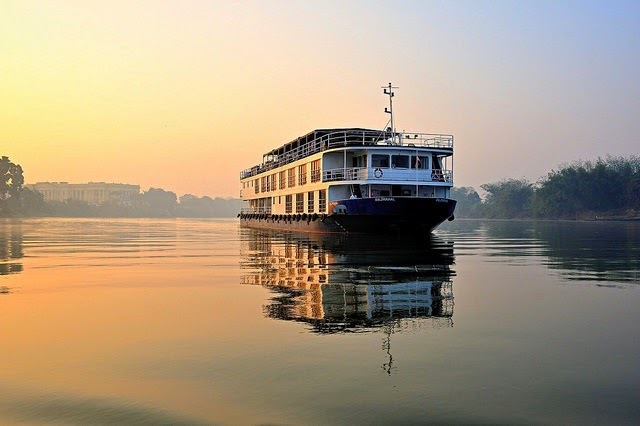 For 2016 the MV Smanatha will be exclusively charter for an 18-night cruise tour including a 14 night cruise on Myanmar's historic Irrawaddy River from Yangon to Mandalay. The second unique opportunity will be aboard MV Origin, the most luxurious ship to sail Galapagos, for a 19-night adventure including a seven-night journey around the Galapagos Islands. View over Northwest Bay. Note relaxed hair and scarf! Looking down from the high viewpoint at the end of the 3km boardwalk into rugged Northwest Bay, something was clearly wrong. We'd walked effortlessly up over 250m, through the grass tree 'forest' and over the megaherb tundra to see the nesting Southern Royal Albatross. The sun shone brightly and the view was glorious. We gathered for photos and just enjoyed the moment. 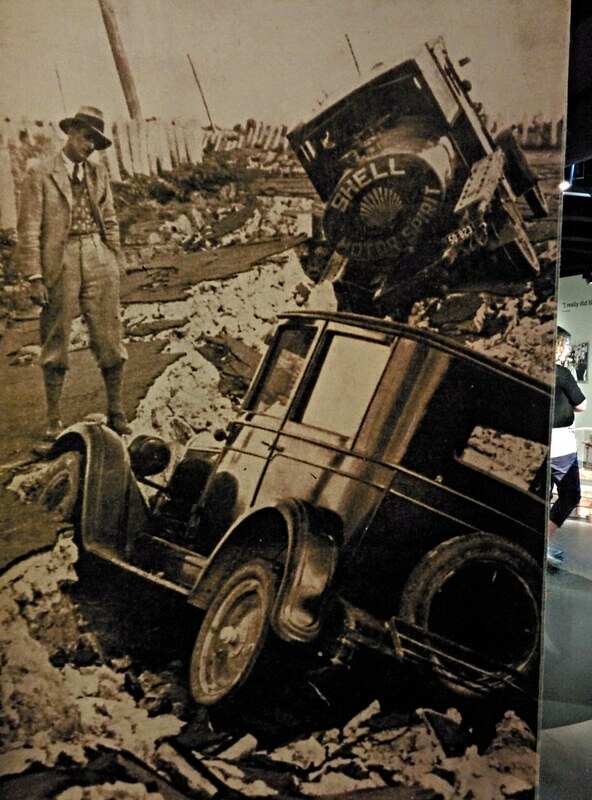 What was the matter then? Located beyond 52deg30', Campbell Island is well into the furious fifties and the daily agenda is usually a healthy dose of stiff wind, drizzle and mist. Instead, this 'walk in the park' is a rare event that has our Silversea expedition staff shaking their heads. On the last two visits here this year the walk to the summit was cancelled before the peak was reached. Violent gusts made it impossible to stay on the narrow, single-file boardwalk and pouring rain removed any pleasure in a victorious ascent. Indeed, on my previous visit five years before, we revelled like kids standing at an angle while the relentless wind held us up. No such blow today. 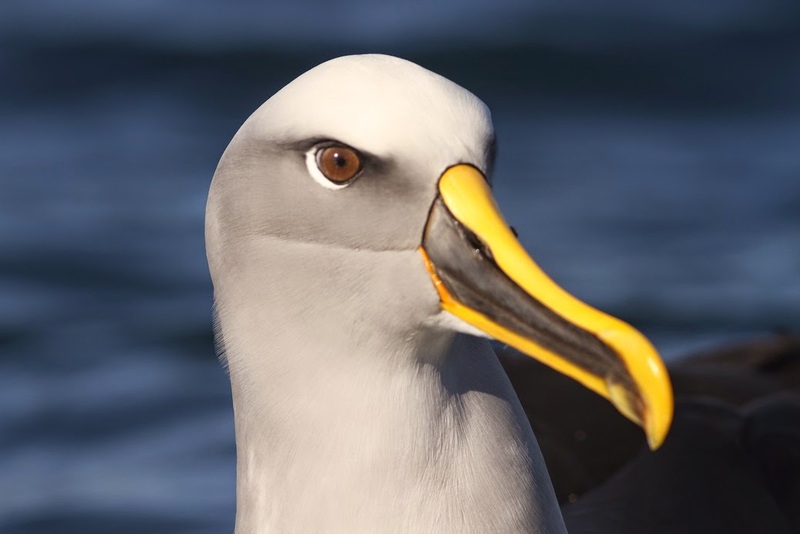 This also means that without uplift, albatross flight operations are suspended. Nesting birds instead sit serenely on their plots observing the curious mammals in red jackets come to check them out. 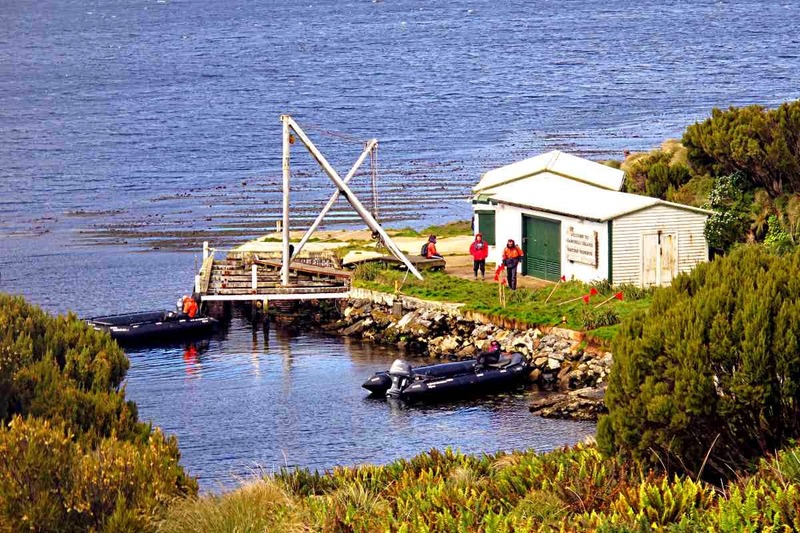 Back down on the ramshackle old wharf, near the old meteorological station, fur seals poke their heads up from the tussocks, barely interested in our passing, while young elephant seals cruise the shallow waters around Tucker Cove at periscope depth. 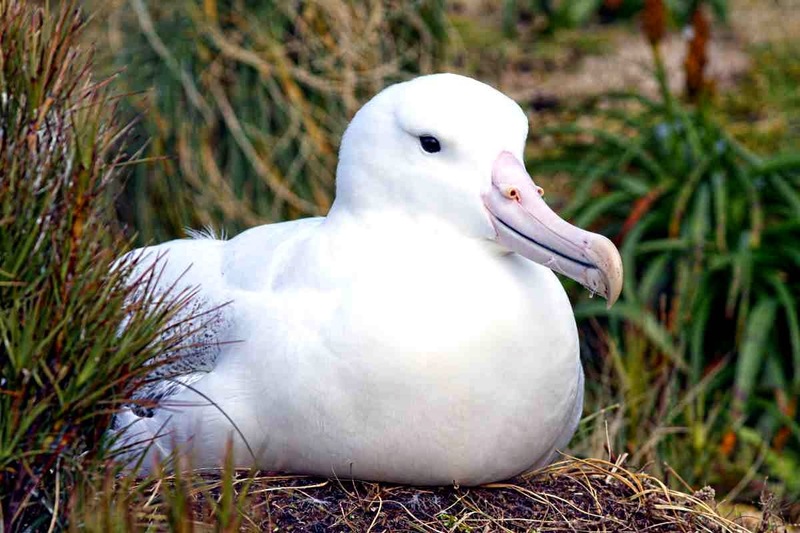 Giant petrels, Antarctic Terns and the endemic Campbell Island shag are active all around the shoreline while in the shrub, pipits dart between branches while the super-rare snipe has made a miraculous comeback. 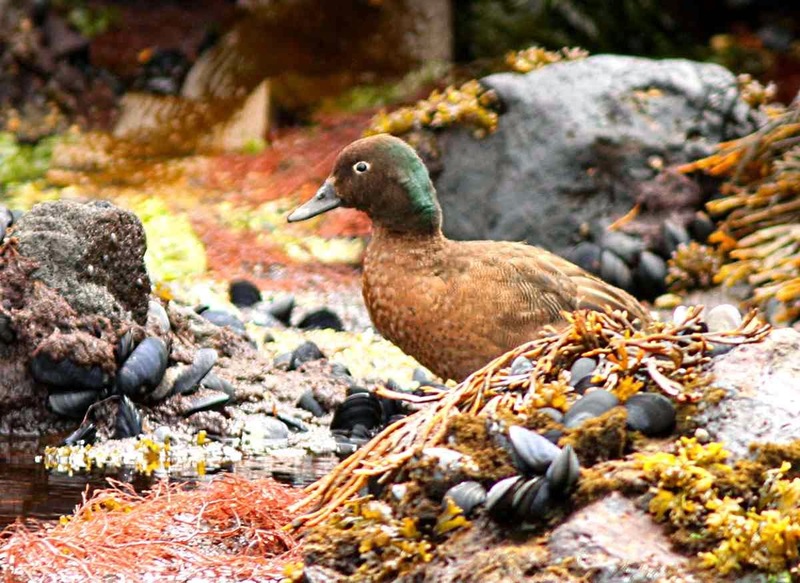 Even more exciting, if that is possible, is the Campbell Island teal, the world's rarest duck. Tick that box too. 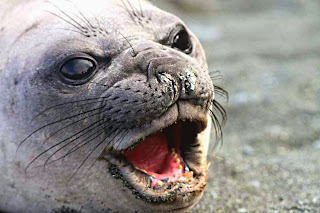 Campbell Island has a similar history to most of NZ's sub-Antarctic islands in that it was the victim of decades of human mistreatment. 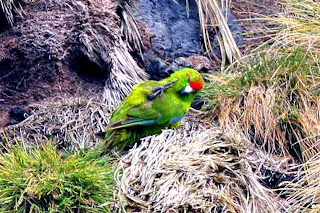 Feral animals including the usual cats and rats made short work of the nesting and flightless birds. 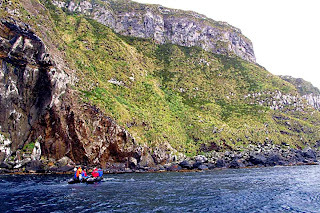 New Zealand's expert parks team perfected the science of aerial baiting here before the technique was moved to Macquarie Island. 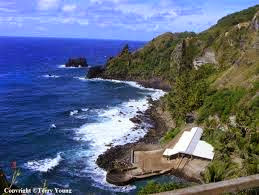 Next: Antipodes and Bounty Islands. Luxury river expedition company Pandaw has announced its new 16-night ‘The Holy Ganges and The Hooghly Rivers’ programme in partnership with RV Rajmahal. The one-off itinerary on 27th October 2015 will offer Pandaw guests an in-depth exploration of the region, from the famous Ghats at Varanasi to Kolkata. Guests will visit the holy Dasaswamedh Ghat steps at sunset for the Varanasi Ganga Aarti spiritual ceremony and explore the city’s intoxicating street life. After a three-night land programme, guests will board the MV Rajmahal at Sujata Kuti, going ashore along the banks of the Ganges to discover Sikh temples and Buddhist monasteries along the way. Pandaw guests will also visit the famous bridge at Mokameh before sailing onto the scenic Rajmahal Hills, the childhood home of Shah Jehan, builder of the Taj Mahal. As the RV Rajmahal enters the Hooghly River, daily excursions will take in the great Katra Mosque and stunning Nashipara and Katgola Palaces, built in 18th century Georgian style. In Kalna, cycle rickshaws will take guests to see some of Bengal’s most attractive terracotta temples, as well as the unique Shiva temple with concentric rings before travelling onto the historic city of Kolkata. 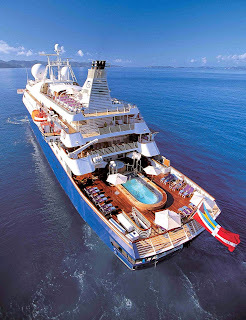 Pandaw guests will enjoy a ‘yacht-like’ feel onboard the 22-suite RV Rajmahal as well as attentive service and a crew to passenger ratio of 2:1. In addition to the 16-night itinerary, Pandaw offers pre and post-expedition extensions in Delhi (including a day trip to the Taj Mahal) and Kolkata. Join RV Rajmahal (www.pandaw.com) on a 16-night Holy Ganges and Hooghly tour and cruise from USD 5’100.- per person (based on two people sharing an upper deck stateroom). This price represents a saving of 15% - available for bookings up to 31st January 2015. The price includes a two-night stay at the Taj Gateway Hotel, Varanasi, a one-night stay at Hotel Royal Residency in Bodh Goya and a 13-night full board cruise from Patna to Kolkata. 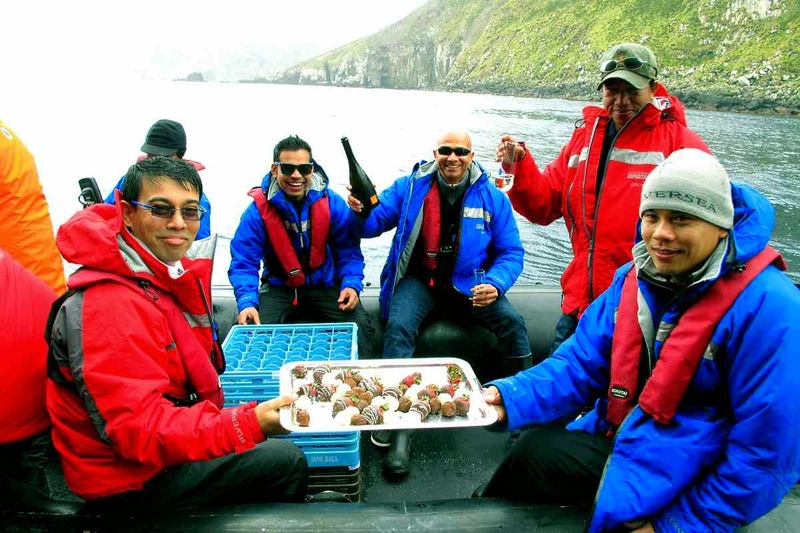 Also included are airport transfers, excursions, crew gratuities and on board lectures. Silver Discoverer at anchor off Sandy Bay. Kings in front. We push off from Silver Discoverer and head to shore and are immediately hit by a brutal wave over the bow, drenching the first row of passengers. The enemy is not entrenched in bunkers on the beach awaiting our arrival, but rather blowing all around us like an angry bellows, whipping stinging spray into our faces and buffeting our Zodiac as if at the hand of a child's tantrum. 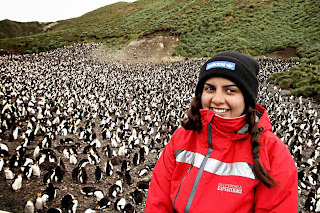 Shalia had never seen penguins outside of a zoo. 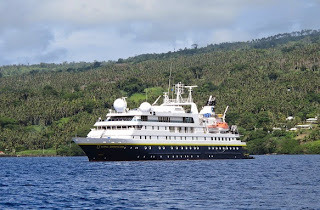 I am finally aboard Silver Discoverer, the third and most recent addition to the Silversea Expeditions fleet. She has been operating Pacific itineraries most of these last nine months including Kimberley, Indonesia, Oceania and the Russian Far East. 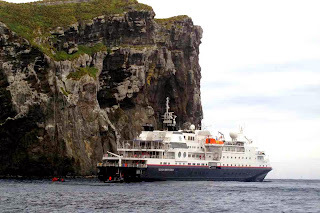 Built in 1989 in Japan as Oceanic Grace, this 103m ship carries 120 guests when full, but only 42 have signed up for our 16-day Dunedin to Wellington itinerary which does a wide loop beginning south to before swinging north east to take in more of New Zealand's remote territories including the Bounty and Antipode Islands. 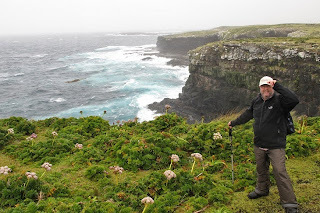 Cliff walk on Enderby Island - hang on to your hats! 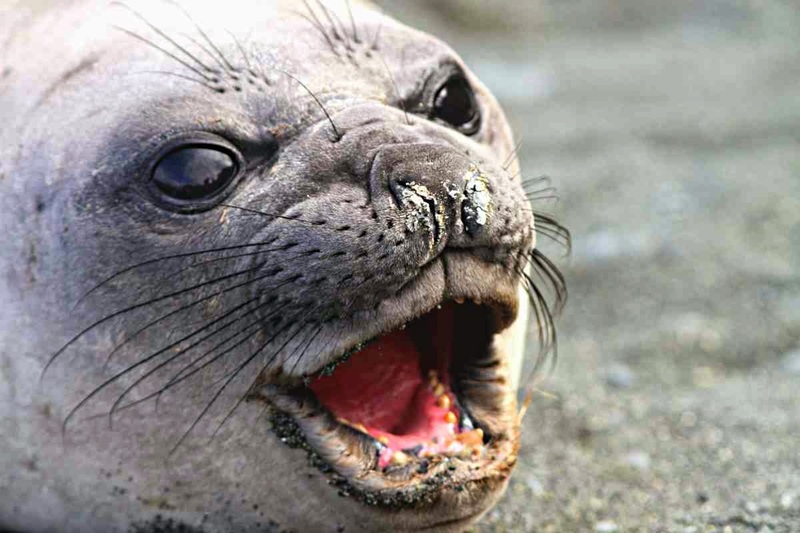 Right now, we are en route to Macquarie Island, Australia's UNESCO World Heritage-listed sub-Antarctic territory accidentally discovered by sealers in 1810 and rebuilding itself as the wildlife sanctuary it was for millions of years before man's destructive arrival. 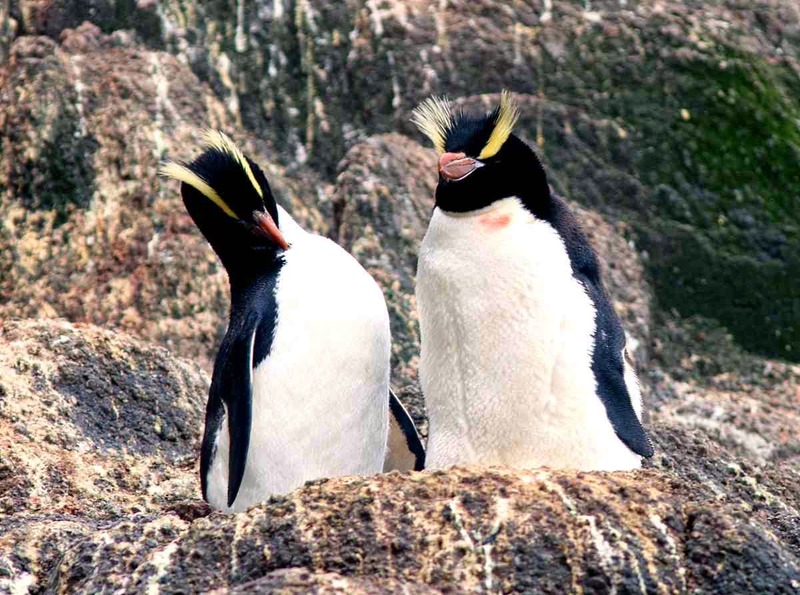 But first we're taking a Zodiac cruise around the bays of the Snares Islands, a human-free zone for wildlife like Royal Penguins and Antarctic Terns to nest 200kms south of New Zealand. Gorgeous Bullers Albatross follow our progress, hanging on the stiff breeze like little hang gliders. Next is Enderby Island, the most northerly of the Auckland Islands and site of a brief experiment in remote farming in the mid-19th Century. For me, it's a revisit after having first tramped the soggy and boggy coastal walk in 2011. 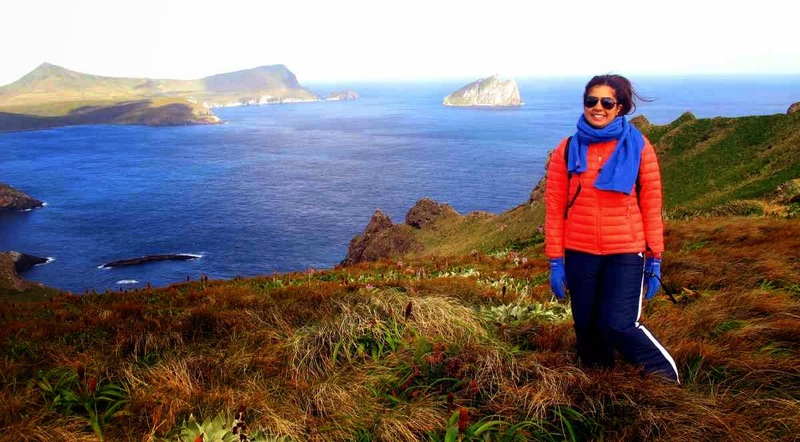 The 12km trek around the dizzying clifftops is no walk in the park. 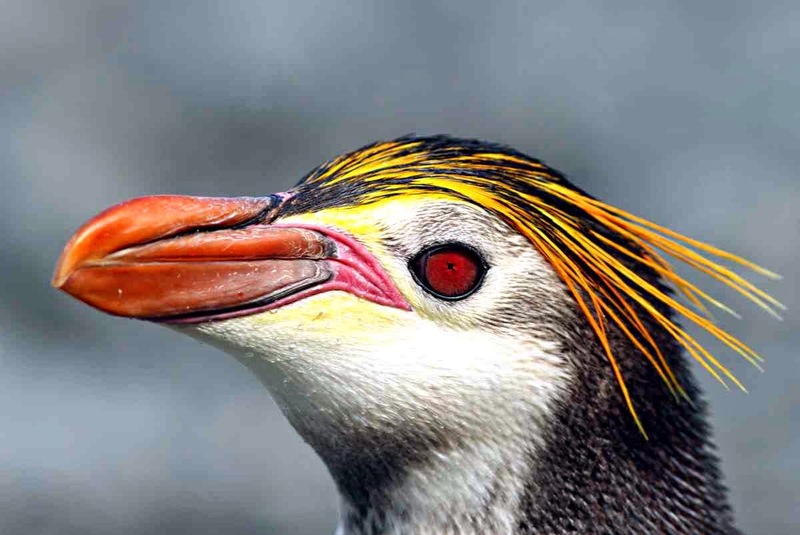 Sure we see the cute and timid Yellow Eyed Penguin, the elusive Red-Crested Parakeet, spot the majestic Southern Royal Albatross nesting near the board walk and run the gauntlet past feisty New Zealand Sea Lions who love to charge at us barking and looking menacing. But it's blowing like fury and half way round it starts to rain. Plus I hadn't properly road-tested my gum boots and they're giving my overwide feet painful grief so I walk the last kilometre barefoot. 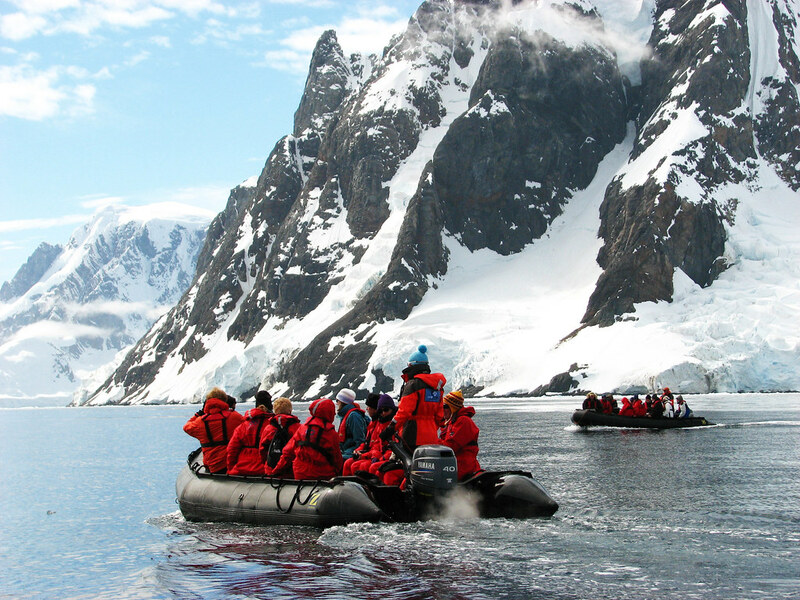 After lunch, a Zodiac cruise is undertaken by those wanting more and that evening we make the big southern leap to 'Macca'. It's quite a leap too, as winds gusting up to 100knts and seas with 10m swells await us. It's a rough old night with the angry ocean hammering the hull like a giant war club and I end up on the floor more than once. It's part of the deal, I'm afraid, but Silver Discoverer ploughs on unperturbed. 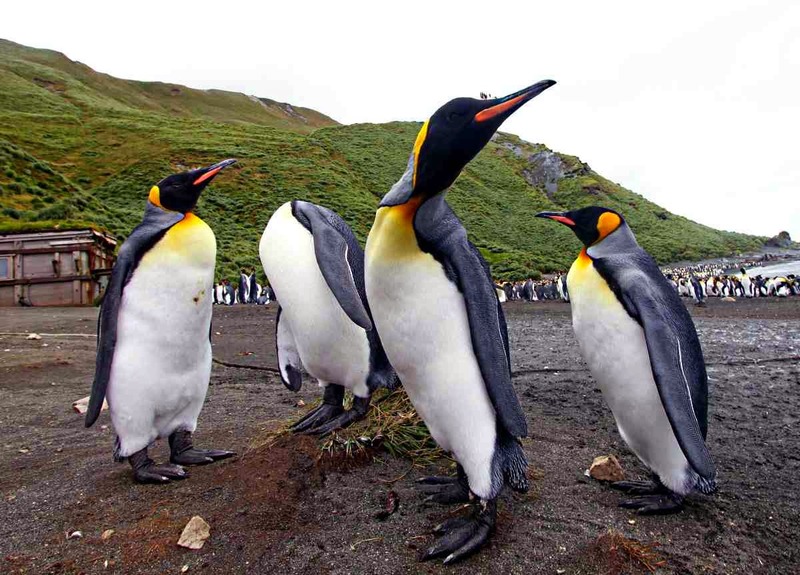 In a move that will surprise some members of the local cruise industry, Lindblad Expeditions - National Geographic has announced that their 'Australian' cruise ship will head to Europe after the 2015-16 Antarctic season for the northern summer. Many, including this writer, believed that the NG Orion would be committed to Southern Hemisphere itineraries including the Kimberley, Indonesia, Papua New Guinea and the South Pacific. 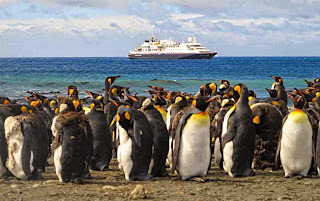 Lindblad Expeditions-National Geographic has announced that following the Antarctic season in early 2016, the National Geographic Orion will set course for Europe where she will spend spring, summer and fall on a highly curated series of 22 one-week voyages. 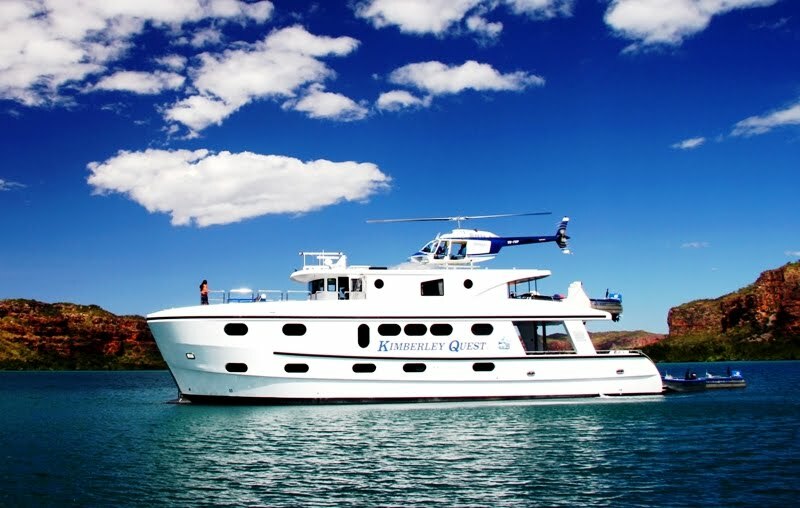 "A vast majority of our past guests have been to the Kimberley and the South Pacific. A ship like National Geographic Orion depends heavily on past guests, and past guests need new geographies - evident by the strength of Australian bookings for the other nine ships in our fleet. 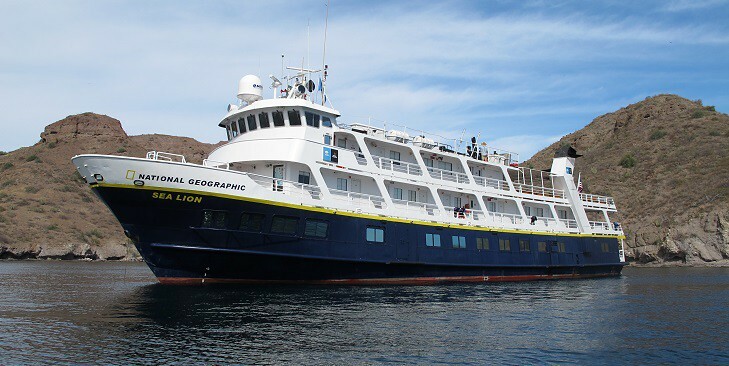 We are committed to providing past guests the most compelling opportunities available on the National Geographic Orion, and have listened to their feedback for new destinations," stated Jeremy Lindblad, Business Development Director for Australia. The voyages will be led by an extraordinary team with a diverse scope of expertise about the countries being explored covering ancient and modern history, political science, art, viniculture and music, as well as leading active options such as hiking, biking and kayaking. Special speakers will be drawn from the top tiers of journalism, science, and world affairs to add relevant insights as part of the 'Global Perspectives Speakers' program, and each voyage will feature a National Geographic photographer. 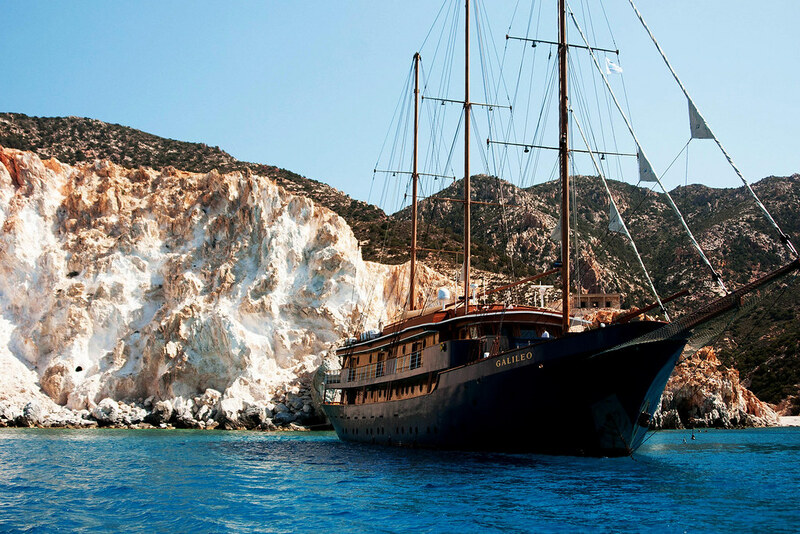 The itineraries have been designed to afford guests the option to take consecutive voyages to discover a range of destinations. On board dining will continue to be an integral part of the experience and will feature degustation menus by one of Australia's renowned international chefs, Serge Dansereau, principal of Sydney's The Bathers' Pavilion. The cuisine will be influenced with the flavours of the region. The 102-guest National Geographic Orion's size and level of comfort will be highly appealing for European travel. The interior is spacious and offers a range of modern public rooms with panoramic views. Her public rooms include a window-lined main lounge, as well as an observation lounge and library at the top of the ship. In addition, a dedicated theatre provides a unique setting for specialist presentations, films or slideshows.